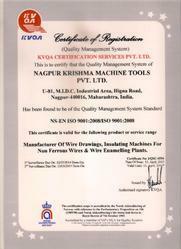 We, Nagpur Krishma Machine Tools Pvt Ltd, a NS-EN ISO 9001:2008/ISO 9001:2008 certified company, established in the year 1992, have emerged as one of the distinguished manufacturers, exporters, traders and suppliers of a huge number of Conductor Machinery and Plants. The range of products includes Paper Covering Machines, Flattening Mills and Annealing Furnaces. We are always open to welcome innovative ideas of our professionals which help us to boost our business activities. 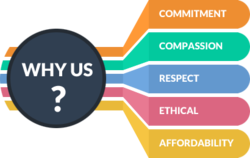 With support of our highly motivated team and the strengths of strategic business management, we have been able to plan for long-term and act in a sustainable manner. Our state-of-the-art infrastructure is our backbone, which enables to us to carry out the manufacturing process in a streamlined manner. To manage the entire workspace, we hire an adroit and capable workforce, which is able to understand the clients’ needs and put in best efforts to fulfill them. Moreover, we conduct stringent quality checks on various parameters to examine and ensure that products offered by us are reliable in terms of quality and performance before the final dispatch. Along with this, with the aid of our expert logistics personnel, we are able to deliver clients’ orders within the promised time frame with the aid of our efficient and safe transportation facility. With our constant endeavors to cater to clients’ requirements by supplying international quality products, we have been able to establish associations with reputed overseas clients like M/s. Electro Venture Ltd., Bangladesh, M/s. Techno Venture Ltd., Bangladesh , M/s. M.R.S. Industries Ltd and many more. We also export in Asian Countries. Under the visionary guidance and cooperative leadership of our director Mr. K. V. S. Sarma, we have been able to achieve remarkable economic success. This core expertise has led us to sculpt a remarkable position in this competitive market. Manufacturing and Trading of engineered Industrial Machine, Enamelling Plant, Slitting Machine, Draw Bench, Rolling Mills and many more. 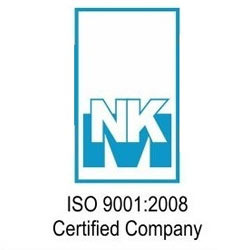 Being an ISO 9001:2008 certified firm, we have been committed to offer international quality products to our clients. We provide utmost quality products that are in adherence to the defined industry standards. Our qualified and expert quality analysts always perform strict examinations to maintain the highest quality standards for the products from processing to packaging. Moreover, to match the industrial quality standards, our products are manufactured from only first grade basic materials that are procured from the certified vendors of the market. With the aid of our team’s support, we have proven ourselves in this domain. 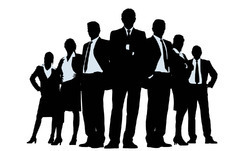 Our team comprises qualified personnel who have vast experience in their respective domains. Due to their passion and hard work, we have been able to satisfy our clientele by supplying standard quality products. 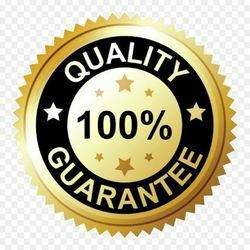 Besides this, strict quality checking is performed by our expert quality controllers on various parameters by using all kinds of latest testing equipments to ensure international quality standards for the products. We are backed by a sound infrastructural unit comprising of the latest machines, for carrying out the manufacturing processes in a smooth manner. In addition, we have an in-house R&D unit to develop innovative product designs with the aid of advanced technology. To store our manufactured products, we are backed by a spacious and strategically built warehousing unit to arrange the products in a streamlined manner. With our utmost excellence and expertise in this domain, we have proven ourselves with our best quality products. We make available our products in various specifications that fulfill the diverse requirements of our clients. The company has a skilled workforce, which enables us to successfully meet clients’ expectations. Our expert logistics professionals supervise the quality and timely shipment of the products to the clients based across various sectors. Our products are highly recommended in wire and allied engineering industries. M/s. ICMET- Ministry of Economy & Finance, Romania etc. M/s. Techno Venture Ltd. Bangladesh.